Admit it: You watch the World Cup for the spectacle. Sure, you enjoy the matches, but you also live for those sublime viral moments: crazy red cards, celebrity sightings (David Beckham! Rihanna! Tom Brady! Shakira! ), ostentatious fans in various states of dress to show their team spirit, and fights ... both verbal and physical. Well, you've come to the right place. 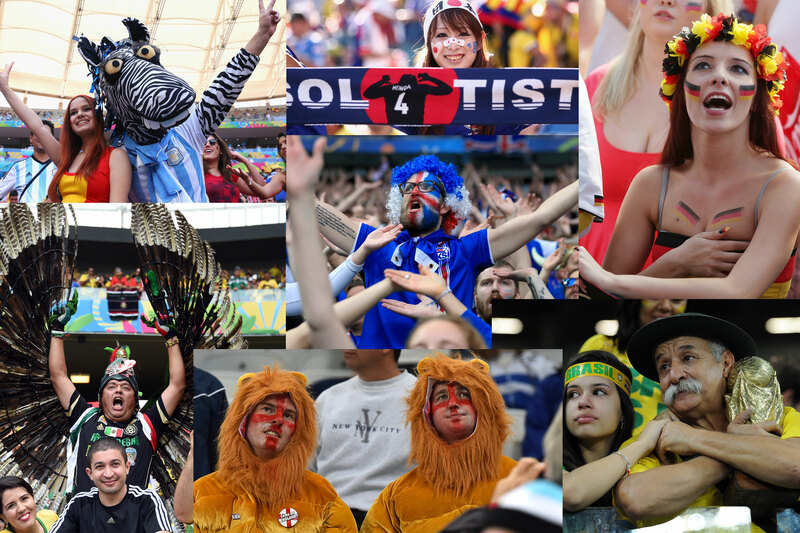 Behold, our alternative World Cup fans' guide. You won't find any tactical breakdowns here about three at the back or overlapping full-backs. Instead, consider this your go-to manual for just about everything other than the football that makes this the greatest show on earth. Almost immune from cultural sensitivities, political leanings and technological innovations, World Cup opening ceremonies have rules that must be followed at all costs. First and foremost, a giant football -- roughly the size of a house -- must open up. TV companies demand it, and fans have travelled thousands of miles for it. Other staples include people on stilts -- a quadrennial fascination that FIFA have never publicly explained -- as well as montages showing large, eerily well-trained groups of well-rehearsed schoolchildren. What else do we need? Futuristic music, interpretative dance, odd costumes and Diana Ross taking penalties, obviously. Like many of the top sporting events, the World Cup is as notable for the people in the stands as it is for the players on the pitch. Take Rihanna, for example: The singer, songwriter and star of "Ocean's 8" was the smash hit of the 2014 edition in Brazil, routinely tweeting her predictions and following Germany all the way to glory. Look at Miroslav Klose: He's the tournament's top scorer of all time but looks like a rookie when posing with RiRi. Other superstars to make it down to Brazil last time out include Ashton Kutcher, Tom Brady, Mick Jagger and Kobe Bryant -- the basketball star also enjoyed the trip to South Africa four years prior -- while tennis ace Rafael Nadal partied hard after Spain's victory in 2010. Argentina can count on the actual pope, Pope Francis, in their famous entourage too: They might need some divine intervention if Lionel Messi is finally going to claim football's biggest prize. But the celebrities aren't just there to sing and dance. Before taking on "The Price Is Right," comedian Drew Carey even turned in a few stints as a World Cup photographer for the U.S. national team in 2006, going by "Brooks Parkenridge" to do his work unnoticed. The photos weren't bad, either. Let's get the party started: Jennifer Lopez performs during the Opening Ceremony of the 2014 World Cup in Brazil. So whether Antoine Griezmann leads an ensemble Fortnite routine, Cristiano Ronaldo's abs explode through sheer dramatic tension or Harry Kane does that half-hearted little jump and fist-pump for the 704th time this calendar year, surely nothing will compare to Marco Tardelli in 1982. With a few choreographed exceptions -- Roger Milla dancing by the corner flag and Bebeto leading a paternal mime to name two -- there really is no substitute for running as fast as you can, screaming as loud as you can and gyrating wildly when you reach the touchline. All right, so they're the money-making perennial tip of a commercial iceberg, but shirts shouldn't be underestimated as crucial iconography through World Cup history. Though the last batch in 2014 largely failed to grab the imagination, by the looks of things, Russia 2018 may well be remembered as the World Cup When Kits Became Cool Again. How cool is the new Nigeria team shirt? Well, it's good enough for this man to kit out his rickshaw in the Super Eagles' colours. The clear winner? Nigeria's USA '94-inspired, Chevron-tastic design. It's different, it's memorable and someone from your weekly 5-a-side game is guaranteed to be wearing one at some point. Picking your team based on a nickname? If so, look no further than Northern Africa. Egypt are the "Pharaohs," which seems a little too obvious, but the "Atlas Lions" of Morocco, the "Super Eagles" of Nigeria and Senegal's "Lions of Teranga" are also set to create chaos in Russia. 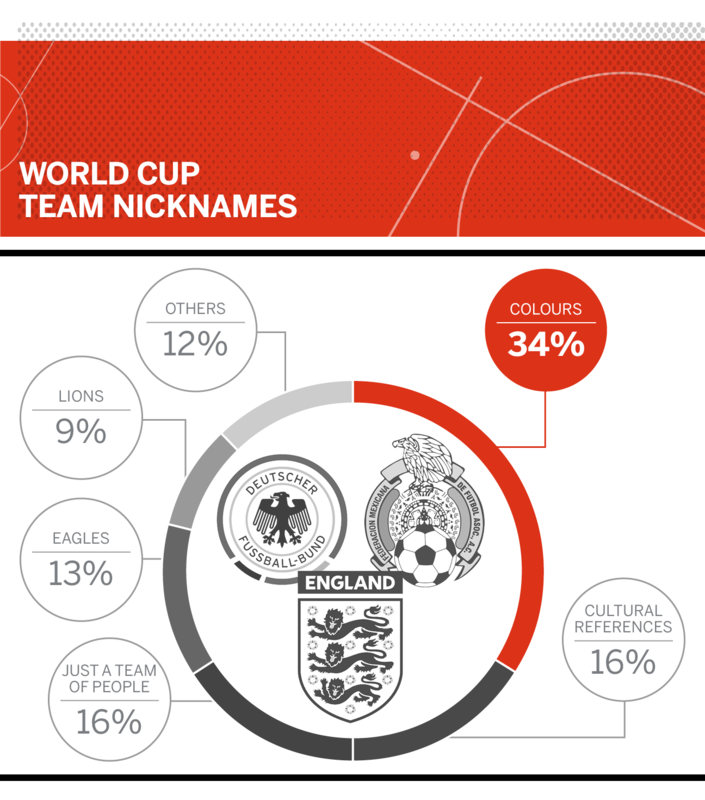 Animals, so often the emblem of patriotic pride, constitute about 25 percent of the World Cup nations' nicknames, you may not be surprised to hear. With that in mind, surely Tunisia have this wrapped up: "Eagles of Carthage" sounds more fearsome than the "Socceroos" of Australia, the "Canal Men" of Panama or the "Coffee Growers" of Colombia. Honourable mention, though, goes to Iceland, who refer to their team as Strakarnir okkar: "Our boys." Otherwise, the big fear has to be the Video Assistant Referee. 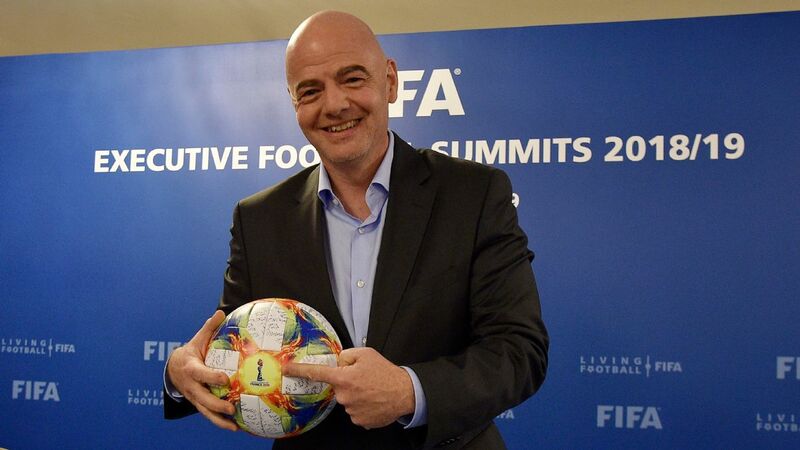 FIFA's undercooked, overcomplicated innovation has had purists up in arms -- Australian fans are still coming to terms with the impact VAR had on the A-League Grand Final -- across several global leagues and, this summer, confusion could be condensed into daily frustration and anger. At least replays will be shown inside stadiums. Who wins the World Cup of anthems? "Giant by thine own nature, thou art beautiful, thou art strong, a fearless colossus" -- Brazil lay it on thick, but they've won five World Cups, so we'll give 'em a pass. "We'll toil with hearts and hands" -- Australia's anthem appears to be a subtle love letter to Diego Maradona and the Hand of God. "As a nation we inherited arms like granite towers" -- Tunisia are flat-out boasting here. "........." -- Spain perhaps have it right: An anthem without lyrics at least means there's no discussion about whether a player is letting the side down by not singing. Mexico will, sadly, be without World Cup 2014 manic manager Miguel Herrera (sacked after an alleged airport scuffle with a journalist, obviously), so the coveted position of Technical-Area Agitator-in-Chief is up for grabs. The smouldering Herve Renard will bring impossibly clean white shirts to the World Cup stage for the first time as Morocco's coach, and Panama's combustible Colombian Hernan Dario Gomez appears not to be someone for England manager Gareth Southgate to be messing with in the group stage. But if you want a manager whose playing style matches the energy of his touchline demeanour, with the latent potential for a knockout-stage meltdown -- not to mention the pressure hanging over him and his squad to bring home the trophy -- then hang your hat on Argentina's Jorge Sampaoli. If the World Cup were the Oscars, these guys would be in line for the Lifetime Achievement Award. Take 45-year-old keeper Essam El-Hadary. He has been a professional goalkeeper since 1993, earning 156 caps for Egypt. "I don't know what the word 'impossible' means", says El-Hadary, who is poised to become the World Cup's oldest-ever player, and whom Didier Drogba once claimed as the "best opponent" he has ever faced. And it gets even tastier: Egypt are in the same group as Saudi Arabia, where El-Hadary plays his club football. Want to know more about him? Check out Chris Jones' story: Essam El-Hadary is about to break a World Cup record ... just don't ask him about his hands. Elsewhere, Australia still cannot bring themselves to be without Tim Cahill, now 38 and still scoring for the Socceroos. Has he still got that leap he had when he was younger? We'll find out soon enough. And keep an eye out for Panama's captain, leader and legend Roman Torres. The 32-year-old colossal defender scored the goal that took Los Canaleros to Russia -- a moment he has commemorated with a tattoo on his calf -- and he is perhaps second only to legendary boxer Roberto Duran as a Panamanian sporting legend. The big, if unlikely, question is: Where on Torres' body would he fit a new tattoo if Panama won the World Cup? He's definitely running out of real estate. Let's also give a special mention to Iceland. The team's sheer force of goodwill from Euro 2016 -- we will NEVER forget that incredible commentary and the Thunder Clap -- should be enough to earn the hearts of a global audience. Who will "do a Zidane?" What awaits a player who goes postal? Perhaps they will be immortalized, like this statue in Qatar of Zinedine Zidane headbutting Marco Materazzi. Keep your eye on Blas Perez of Panama. In a friendly against Denmark, he attempted to Nigel de Jong keeper Kasper Schmeichel; what will he have in store for a World Cup? Meanwhile, Colombia's Jefferson Lerma managed to get booked 16 times in just 26 league games for Levante this season. As Ron Burgundy said about his loyal companion Baxter: "I'm not even mad, that's amazing!" Then there is everybody's favourite Portuguese defender: Who can forget the "impact" Pepe had at Brazil 2014, not to mention on Thomas Muller! Who will shine in the transfer window ... and Real Madrid inevitably buy? Not much has a stranger effect on the transfer market than a World Cup. Every four years, clubs peer into the FIFA shop window with the hope of exciting beleaguered fans with a knee-jerk purchase. Some go on to become legends, and some sink without a trace -- we're looking at you El Hadji Diouf in 2002 and, to a slightly lesser extent, James Rodriguez four years ago, when Real Madrid signed him up -- but the tantalising hope of unearthing a gem will always remain. This year's breakthrough stars could include Iran's Alireza Jahanbakhsh, the Eredivisie's standout performer with AZ Alkmaar, who can both score and create with his subtle right foot. Just behind him in the Dutch top flight's scoring stakes is Hirving Lozano, whose debut season in Europe surpassed all expectations and came just in time to lead the line for Mexico at the World Cup. Elsewhere, the Serbian pair of Aleksandar Mitrovic and Sergej Milinkovic-Savic, both 23, are going into the World Cup on the back of impressive seasons, with the latter tipped as the next great Balkan midfield talent. Remember this from Euro 2016? Iceland fans will bring their thunderclap to Russia, and Colombian yellow is set to be displayed in abundance. Only Russia, the United States -- they know they didn't qualify, right? -- and Brazil have sold more tickets to fans than the land of James Rodriguez and Radamel Falcao. It's an unspoken truth that the group stage really is where the magic of the World Cup lies, if only for the fresh, glorious blanket of live football on offer every day. But if real life tries to get in the way of your viewing, here are three days where you'll want to call in "sick" from work. 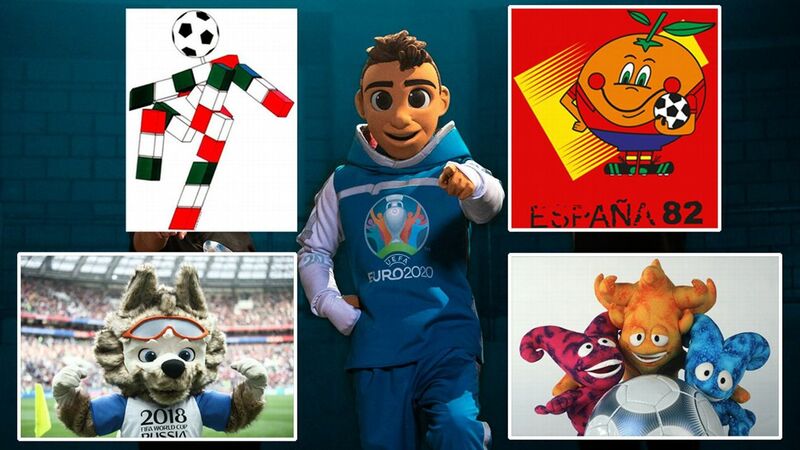 June 16: The first four-game day of the World Cup is full of intrigue. Will France's terrifyingly deep squad find immediate balance against Australia and 38-year-old Tim Cahill? What can Euro 2016's cult heroes Iceland do when faced with Lionel Messi? Will Croatia or Nigeria's kit look better on TV in glorious HD? June 25: Groups A and B come to a climax, and hosts Russia might need something big against Uruguay in Samara. Elsewhere, Iran coach Carlos Queiroz faces his homeland Portugal and Cristiano Ronaldo, while Spain will try to tiki-taka Morocco into a trance. June 27: South Korea vs. Germany and Mexico vs. Sweden are merely the culture-clash appetisers for the main course: the tasty-looking Serbia vs. Brazil in Moscow as Neymar & Co. look for redemption after that scoreline from 2014 that the country is trying their best to forget. Who will be designated as the "hipster's choice"? Which team will throw caution to the wind for the sake of warming the neutrals' hearts? Who will be worth throwing support behind once your own team have made an apologetic early exit? Peru, Iceland and Nigeria all look like attractive Plan B options, while it's perhaps finally time for Belgium's almost freakish generation of talent to bear fruit. Then there's Egypt: Back at the World Cup after 28 years, they boast the all-conquering and almost irritatingly happy Mohamed Salah, who's in a race to recover after getting injured in the Champions League final, a midfield support act who goes by the name "Trezeguet" and are led by everyone's favourite late-1990s manager Hector Cuper. Adam Hurrey analyses the language of football. You can follow him on Twitter: @FootballCliches.